The Mobridge Area Chamber hosted a Turkey Trot Run/Walk event last week on Thanksgiving, Thursday, Nov. 27 from 9 a.m. to 10 a.m. Residents tall and small were welcomed to participate. There were youth races for children 4 and under as well as for those ages five years or older. Winners in each category received prizes, and all adult walkers received a Shop Small bag and Make It Mobridge Coupon Card. The event was sponsored by Thrivent Financial for Lutherans. Thanks to everyone who participated! 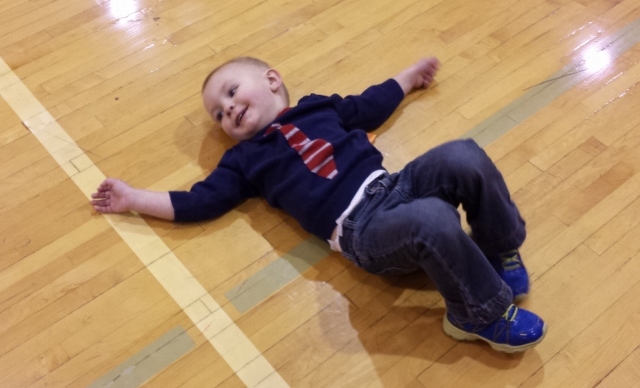 Henry Mack catches his breath after the children 4 and under race. He's the grandson of Stan and LeeAnn Mack of Mobridge. 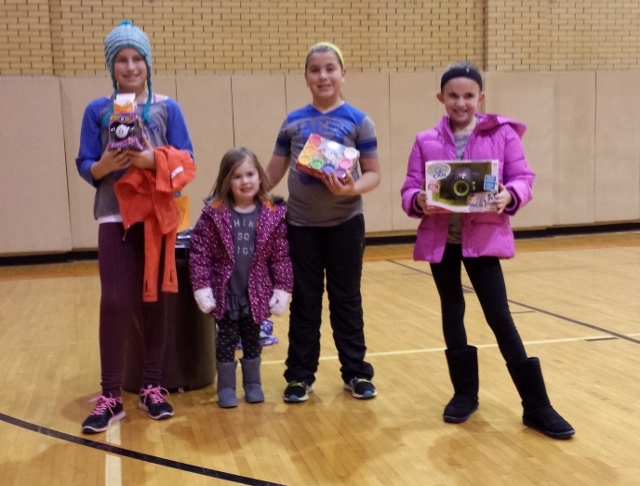 Four of our 5-10 year old participants take pictures with their prizes. Pictured are Ava and Belle Badgley, granddaughters of John and Hazel Badgley of Mobridge, and their cousins Eleanor and Zoe Deprez.